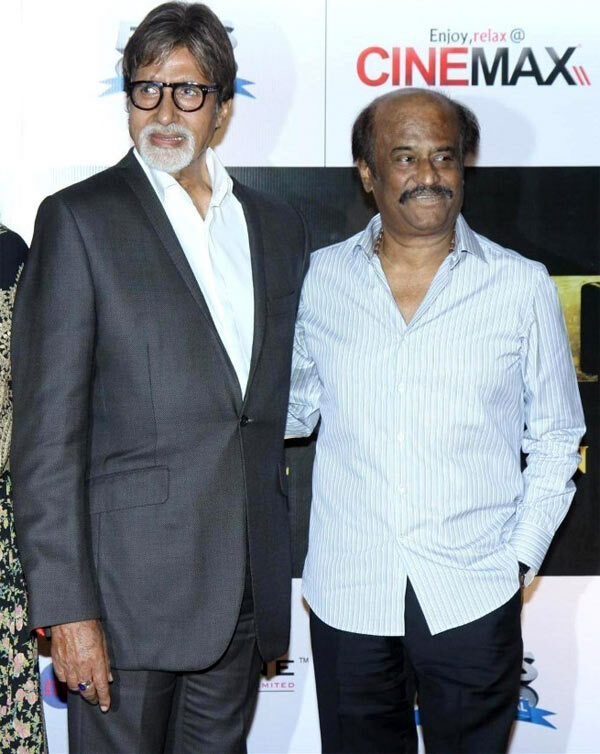 In the light of media reports claiming that names of Amitabh Bachchan and Rajnikanth were among those suggested for the top post at the Film and Television Institute of India, Minister of State for Information & Broadcasting Rajyavardhan Rathore said Gajendra Chauhan was chosen as the government wanted someone who could devote time to the premier institute. "The government wanted the governing council, including the chairman, to be people who could commit time for the development of the institute," the minister told reporters in New Delhi. Rathore's comments came as some media reports suggested that among the potential names suggested for the position of FTII chairman included icons like of Bachchan and Rajnikanth as well. Reports earlier had mentioned that names of filmmakers Gulzar, Adoor Gopalakrishnan and Shyam Benegal were also under the consideration of the I&B ministry. Reacting to these reports, a senior ministry functionary who was not willing to speak on record said that if "people like Amitabh Bachchan or Rajnikanth would like to run FTII, there was no objection but those names were shortlisted, which it was felt would have enough time to ensure that they can thoroughly focus on the job," the source added. Many celebrated icons have busy schedules and not the same amount of time, the source said adding that another criterion was the willingness of the concerned person to take up the job. Some prominent names were also not keen, sources said. Some eminent film personalities were willing to contribute with Chauhan at the helm, they added. Strongly denying any difference between I&B minister Arun Jaitley and MoS Rathore on the matter, the source said that if was felt that while Chauhan may not be the tallest of all names suggested, but he certainly met all the requirements, including willingness to give time generously. Earlier, Oscar winning sound mixer and designer Resul Pookutty had tweeted that in his meeting with a FTII delegation Jaitley had said that we (government) "haven't made the best of choice" but as a govt we can't retract!" Ministry officials denied that Chauhan's nomination was an attempt at "saffronisation" and the Rashtriya Swayamsevak Sangh was involved in the decision making and said that members chosen were from diverse backgrounds on the FTII council. Citing a factor involved in decision making for the position of FTII chairman, an official source said that it was felt that some difficult decision were needed, which someone from the alumni may not be comfortably take. FTII has seen dozens of long strikes over the years and has not seen a convocation for nearly 17 years, the official said. The course is of three years duration but students who joined in 2008 are still pursuing the course and no fee is charged, the official added. "There were names like Jahnu Barua which the ministry was quite in favour but ultimately it was felt that someone who is not a student of the same institute may be more suited," a source said. Officials hoped that the students of FTII would not be adamant on the issue of selection of chairman and would attend their lectures. "The government is open to consultations and communication with the students to resolve the issue at the earliest," a source added. Emphasising that the government is keen to work for the betterment of the Institute, a source said that FTII has had a history of strikes and there have been 32 strikes in 55 years. On the contrary, the administration of Satyajit Ray Film and Television Institute has been running professionally and unlike FTII, their students complete their course in the stipulated time period, an official said.